If you happened to pass by Nakhon Kitchen branches at Hougang and Bedok during the dinner time, you will probably spot a long queue waiting to be seated and has always a common sign at both the locations. 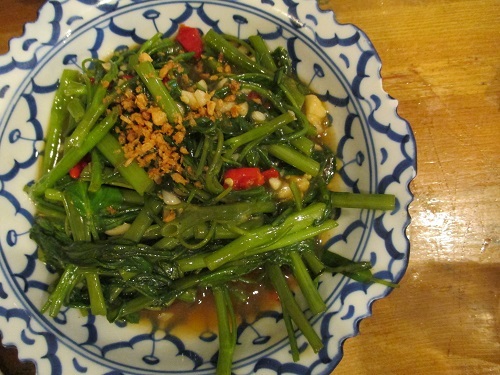 Nakhon Kitchen serves authentic Thai food at affordable price and reasonably good quality food. From the affordability aspect, most of the dishes cost about $6 to $10 dollars and highest probably at about $22 for the fish, a price range fairly comfortable to the public. Of course, their locations and opt for non air-conditioned environment are the reasons to help them lower the operating costs and keep the price within reach for most of the people. 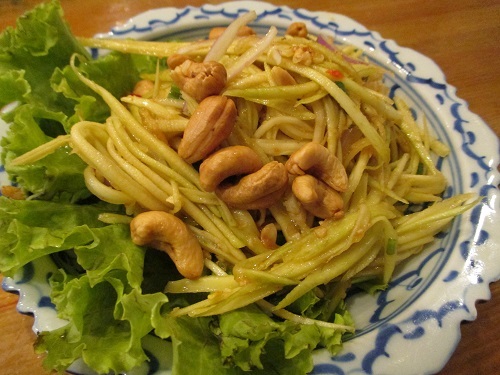 Food quality aspect, Nakhon Kitchen tries to portray themselves as an authentic Thai restaurant by engaging chefs from Thailand and likewise their serving crews, most of the comments and reviews about the restaurant give them the thumb up on the food quality. 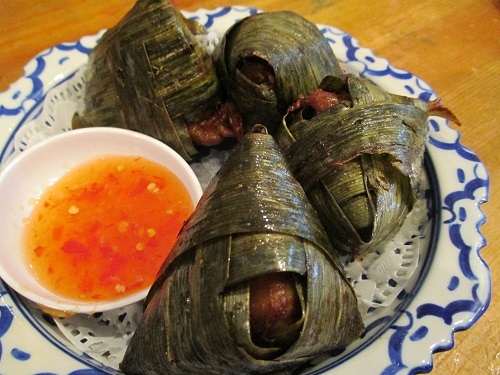 My family likes Thai food and we had tried both their branches several times in the past, a basis expectation of a good quality restaurant in our definition is the ability to provide consistent good quality food over the time. 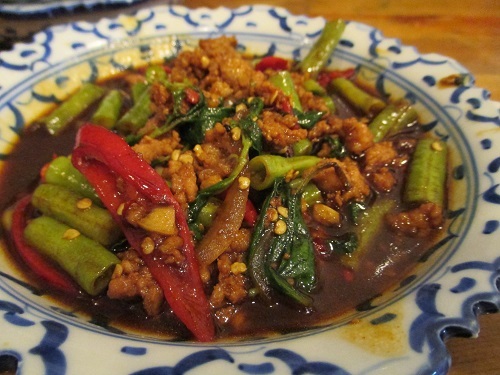 However, my family has the kind of love hate relationship with Nakhon Kitchen, every visit to the restaurant was luck of the draw, a dish could taste real good in one visit but a total disappointment in the next, the inconsistency in the food quality was validated in the few visits to the restaurant. An area the restaurant may need to do some reflections and find way to improve. The seasoning and taste was average, it will be better if the chicken can be more uicier and tender. 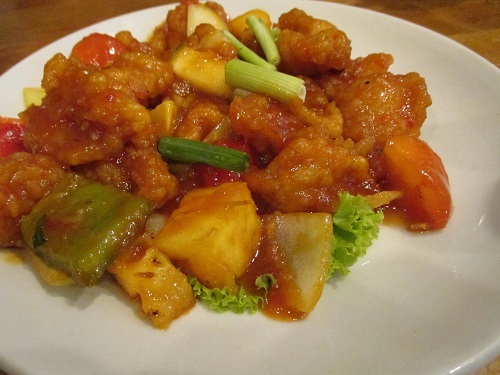 Lack of the sourness and spiciness in the seasoning sauce, the mango was not crunched and flavourful. Not recommended. We preferred the clear version than the milky base, the clear version allows you to taste the real Tom Yum flavour and not masked by the coconut milk. 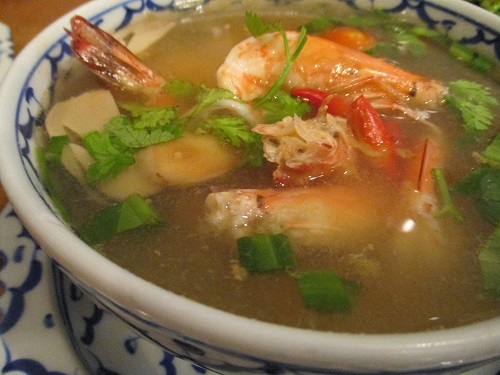 If you can handle the sharp spice, this is a good place to enjoy a real good Tom Yum soup. Too ordinary and you probably can find something else more interesting to try. Way too salty and completely covered the fragrances of the basil leaf, not recommended. The fried Kang Kong was a little overcooked and the Kang Kong lost its crunchiness, just with average taste. This item was not on the menu but we had it first time at the Bedok Branch, my two kids love it so much and now become a standard dish for us whenever we visit the restaurant. 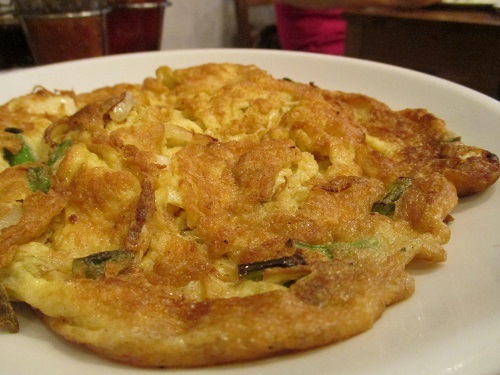 The omelette egg was well seasoned and oil fried to produce a slight crisp exterior and fluffy oft internally, the aroma from the eggs and the taste was lip smacking. However, we need to highlight, the standard varies for this dish time to time so it’s really got to try your luck. Based on our experience, 65% of the time was good. 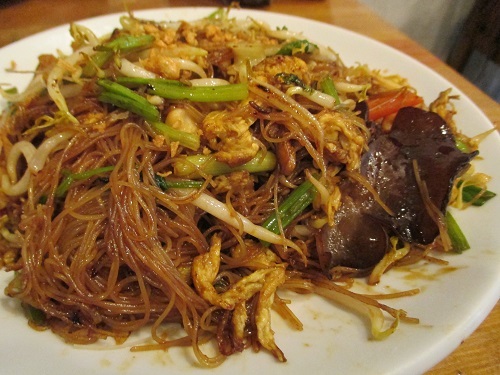 One of the best dishes you should try when you visit here, the bee hoon absorbed the seasoning sauce very well with the fusion of the seafood freshness and the vegetables sweetness. 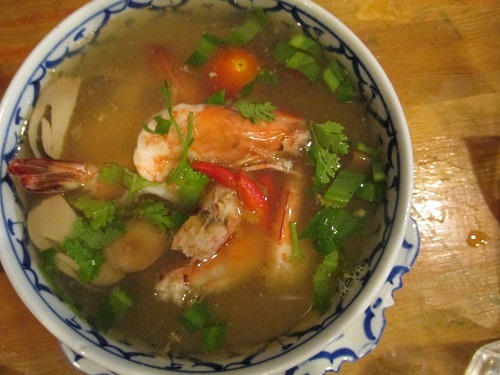 Besides the Tom Yum soup, this is another dish the glutton family gives the thumb up. 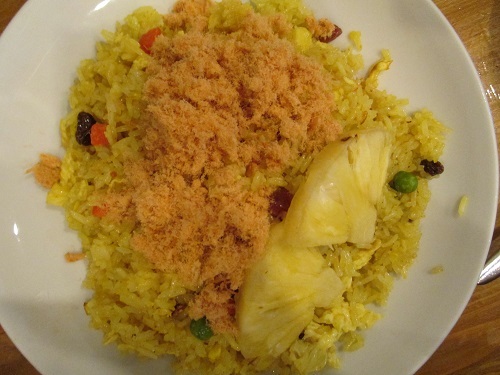 The pork floss topping went well with the rice which was moist and glistened with the fragrance of pineapple. However, the taste was average and nothing worth further comment. 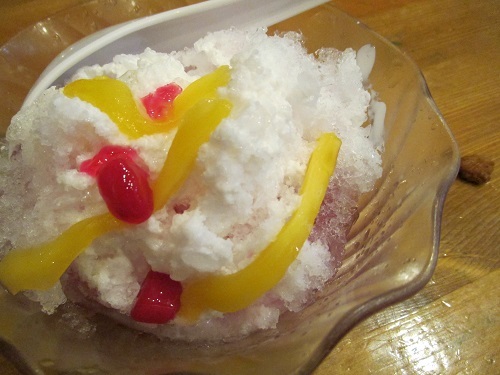 After lots of spices and a burning tongue, a cool dessert was a perfect antidote to simmer the heat and quench the thirst. We would love it if the shredded ice can be as fine as the snow. Overall, Nokhon Kitchen provides a good venue for you to indulge in the Thai food with affordable price and acceptable quality food. There is a newly store open at Yishun, it is the real thai cook cuisine and is worth and value for price compare the “THE TASTE OF THAILAND”.